Two weeks ago, I had a total sewing fail. I have myself to blame for this one. I felt like a quick project, and I already had the fabric – a lovely soft stretch wool. I found a vintage pattern for cigarette pants in my stash, and it looked quick and easy. I decided to proceed without a muslin, thinking that the pattern was SO simple, it would probably be fine. I’m sure you can predict the results. I expected that they’d be high waisted. I wanted high waisted. But I did not expect a rise that went all the way from my natural waist to a quarter way down my thigh. Imagine tight high waisted harem pants. It was awful. I adjusted as best I could, and then resigned myself to the idea that they were total wadders, and it was 100% my own laziness that was to blame. The next weekend, I cleansed my palette with a sewing success. I made a pencil skirt that came out beautifully, in a lovely textured creamy wool with a lilac silk lining. I put a lot more time into the skirt than the pants, and it felt so good to have something go well. When I finished the skirt, I realized that it wasn’t just laziness that had caused the first project to go so wrong, or the willingness to invest time that had made the second project go well. It was a pretty different mindset. With the pants, I basically closed my eyes and pretended everything would be fine. I took an overly optimistic view of what would be required to make the project work for me and my body. I don’t know if “optimistic” is even the word; I didn’t think much about it at all, I just wanted to make something. But with the skirt, I thought about all the ways it could go wrong. And then (more importantly) I took steps to make sure those things didn’t happen. I knew my fabric was a bit on the bulky side. So I made sure to trim or grade every seam allowance to get rid of as much bulk as possible. I spent a lot of time at my pressing table, using my clapper liberally to compress seams and keep them flat. I knew my lining pieces were easy to flip the wrong way, so I carefully labeled the right and wrong side. In the end, I was able to sidestep all the problems that could have come up, because I realized ahead of time all the ways it could have been ruined. This made me think of other places I do this. Here at the studio, we did this recently before embarking on a big new project. The whole team got together and gave input on all the ways the project might go horribly wrong, and what we could do to prevent that from happening. In the world of project management, they call this “risk management.” A risk is something that could go wrong, but hasn’t yet. By getting them all out on the table, the idea is that you prevent them from becoming actual problems. It seems like thinking of all the pitfalls would be discouraging, but the opposite is actually true. It makes you feel more prepared, and prevents bitter disappointment later on. This made me think, perhaps listing all the little things that could go wrong before embarking on a new sewing project could be a useful strategy for getting more out of your time at the machine. Was there ever a time you wish you’d considered all the possible ways a sewing project could fail – BEFORE sewing? Sewing Blooper of the Week: Right side or wrong side? This article speaks to me! i always am optimistic that things will go smoothly and the extra step is not needed! Invariably, I spend lots of time ripping and redoing. What a great idea—risk management for sewing! Believe me, as I approach my nest project I will begin with a different outlook! thank you! PS Also nice to know even the experts go through what I do! Thanks for all your great ideas and encouragement for all sewers! Yikes! I did not check carefully and therefore, I have a nest project instead of a next project. And the same with my sewing…. I find that my fear of “wasting” fabric with wadders really holds me up from sewing as much as I want to. I’m fine with screwing up in my knitting – I can just unravel my yarn & remake it, but sewing? No way! The what-ifs always hang me up. I know I have to get over that & that’s what a muslin is all about, so I need to embrace the muslin & get over my fear of ruining stuff. this. i love my stash, and i’m always “saving” it because i want certainty of a great outcome…. but want to dodge the muslin. i suppose that having learned to embrace the gauge swatch, i ought to be able to embrace the muslin…. I feel this too! And just make a muslin with fabric I bought before I new what I was doing or thrift store finds. But waste is on my mind. After having 2 fairly heart breaking fails (tops using a gorgeous, vibrant bamboo knit that was rather pricey!) I’ve learned that doing a practice run (or muslin as they’re referred to usually) is never a waste of time! I learn so much in that first practice garment. Size, ideal fabric, length, hemming or most importantly whether I would even wear the darn thing when it’s all done! I can even “play” around with different sorts of seaming, try some crazy embroidery, try different types of closures and all for a few dollars. By the time I get to my grand finale, I have something I really enjoy and feel much less stressed about cutting and sewing an expensive beautiful fabric! This is so true! I’m really trying to do this, what first started me thinking about it was refashioning, where you have such a limited resource to work with that you can’t afford any mistakes – I found it really forced me to think through a project carefully before cutting. Thinking time isn’t wasted time! So true. I read once that for any project, you should spend about a third of your time in the design phase. I feel like for sewing, that’s the time you spend planning things out and thinking through all the steps. I like your notion of risk management. Yes, we can do a muslin, but realistically I’m not going to do that for every project — and more realistically, it’s just not always necessary. The trick, as you highlight is to take a moment to think it through — especially when you’re not going to do a muslin. This can men extra-wide seam allowances where you think you may run into trouble, cutting it out so that remnants are as big as possible in case you need to cut a piece again. quickly checking the rise of pants pattern against a pair of pants that fit. Sometimes I don’t cut out all the pieces at once. Instead I put together the pattern partially and see how it is fitting before I cut out next things like collars or sleeves or waistbands. When I pretend that everything will probably just work out this time because it should, it usually doesn’t! Yes! I think another helpful thing is to have a set of measurements you can always check a pattern against. I need to write a post on this soon too! It’s really helpful. That would be great, I would really appreciate the help in this area! Yes to all of this. And I would also like to say what a wonderful resource the internet is in this regard – by searching for other people’s projects and reviews, it is usually possible to identify the problems you are likely to encounter, and get some insights in to how to fix them. My first “serious” adult sewing project was the Parfait, but by reading all the reviews and sew-alongs I could find, I ended up with a very good result. If I hadn’t been forewarned and forearmed, I doubt it would have been wearable! Okay, so we’ve all been there. More frequently than we’d like. But help me here: what do you do when you HAVE put in the time and you’ve got the test garment done and maybe you’ve even made a finished garment that worked from said test garment but you decide to use a…………slightly…..different…..fabric…? thinking, “I’ve got this.” You think through all of the ways you’d need to adjust for the new fabric and everything is looking good……and then you do one final fitting. That’s the one that really kills my confidence. I am going through this very situation on a current project, a simple tank for knits. I made it twice before a few years back in a Lycra (pretty tight now, due to body changes), and in a cotton knit (also now a little tight). Current project used a cotton blend sweater knit. It is a very loose knit, and I had no idea how loose until I finished the neck edge yesterday. I can selvage it, but wonder in the end if that is even worth the effort: I get into an endless feedback loop about saving the planet versus keeping something less than good enough. Argh. Bottom line, happy It was so simple I didn’t spend a lot of time on it, and just a dollar or two on the fabric. That’s exactly where I typically have the issue. I work with a lot of knits and they really do vary. Using the same pattern with a lightweight vs a midweight knit with the same fiber content can actually change the garment considerably. This gets more complicated when you’re using leftover or inexpensive test knits that aren’t similar to your chosen fabric for the project. It can be very frustrating. I’ve got a loose sweater knit in the lineup right now and I am quite nervous about it. The only thing I can think of is to wrap it around me and measure the circumference that I’m needed for proper drape, then adjusting to cut there with extra seam allowance, just in case. Yeah, knits are so hard to predict sometimes. I try to adjust my order of operations when sewing to make adjustments easy as I sew. For example, setting sleeves in flat so that side seams are easy to adjust, etc. Even with careful muslins, fabric content is always the source of my fails. Stretch wovens misbehave regularly for me (wearing pants right now, I give them two more washes before they go entirely sideways). Percent of lycra wasn’t listed, turned out they were a fourway stretch denim. Ouch. I could make them into twin yoga mat bags…. More fail has happened because of substitutions and missed content information. I forget which blogger said “Stretch taffeta is never going to be your friend”. So so true. Oh, and I should have said sorry, I have no suggestions, but would love to hear if someone else does. For myself I now know the answer is to not try using cheap fabrics all the time or simple patterns just to avoid mistakes. They sometimes cannot be avoided, corrected or improved upon for next time. Sometimes you just have to let it go and move on, nothing to see here, oh gee how did that get in the trash? That is the major problem for beginning sewists. I know I am not aware of half the things that can go wrong. One of my major fails was a skirt that I made from a beautiful cotton nightgown that I hand dyed twice – to get the right color, only to proceed to use the wrong interfacing on the waist and way too much of it, after I had hand sown the zipper because I didn’t have enough fabric to open up the front all the way to do it properly by machine. I ended up with an unwearable skirt that wasted all the fabric I had – a soft cotton you just cannot find in stores around here – and that shattered my confidence to smithereens in the process. Maybe I had bitten more than I could chew, but it was back to sewing home furnishings for a few years for me, after that debacle. Only now I am gathering courage to face another skirt, in a less precious fabric with a more forgiving shape. Hopefully I will wear this one. I feel your pain–I just did two “close your eyes and sew” projects before Christmas that were pretty much disasters. But it’s not such a bad thing sometimes–otherwise I get so wound up in the steps I need to do to pull a project off that I get fearful about the whole thing. Bottom line–I was glad to get the stuff out of my stash and move on! Good attitude, Julie! I figure I pretty much always learn something, not matter how bad the end result. Ah, yes, the specter of failed projects rears it’s ugly head! It’s just awful to be nearly finished and realize you’ve got something unwearable, isn’t it?This is how I cope with fails: I put them in The Basket. Not a wastebasket, just a basket where I cannot see them and I can leave them alone for a little while. Much, much later (days, weeks, months) I take it out of the basket and I see if I can diagnose not just what went wrong, but if there are ways I can save it. A dress made from the wrong material was remade into a different dress style, more suited to the stiffness. A dress that was a size too small and some leftover fabric became a sundress. I have a blouse cut just a little too small in the chest and shoulders that I think I can fix by removing the whole upper section and inserting a yoke with a button front made from leftover material. You can always insert lace, mix materials, or add a button placket to get more inches. There’s not much to be done with pants, but you may be able to add material to side seams, or salvage material for a hat, a pillow, scarf, a bag, or for panels in a skirt using a contrasting fabric of a similar weight to make up the missing yardage. It’s not always a fail, sometimes you just need to put it aside and look at it later with fresh eyes to tackle the problem, and turn it into something you can love. It might not end up being what you originally envisioned, but you can always try again later for that original vision. Great suggestions. Reminds me of ideas I saw in the book Sewing 911 by Barbara Dekert. Very useful ideas for many situations and funny to boot. Nifty! I will check that book out. I like the idea of this risk management session before sewing. I’m going to start work on my Anise soon, and I’ve never made a coat before. I think I’ll try this risk management thing before I start. I have read other sewists find vintage patterns to be especially challenging, though I have never attempted one myself, except for modernized versions. I was really happy to read a book on fitting where the author noted that patterns in the 80s were designed with a lot of ease, so much ease in fact that sewists typically made a size or two smaller than the finished measurements would dictate, because there was so much excess. I could really identify with that. When I got back to sewing seriously a decade or so later, everything had changed, so much so that that strategy not only no longer worked, but resulted in a few wadders until the sewist figured it out on their own. This was my experience exactly. I do try to measure now, but find even taking that step does not necessarily equate to success. I think practice, adjustments and experience ultimately count for a lot. I agree with applying risk management, so if you are in the mood to just make something, always pick a TNT. I learned to sew in the 90s, and I ALWAYS made patterns 1-2 sizes smaller than indicated. There was SO much ease. I totally went through a similar experience in the last few days. 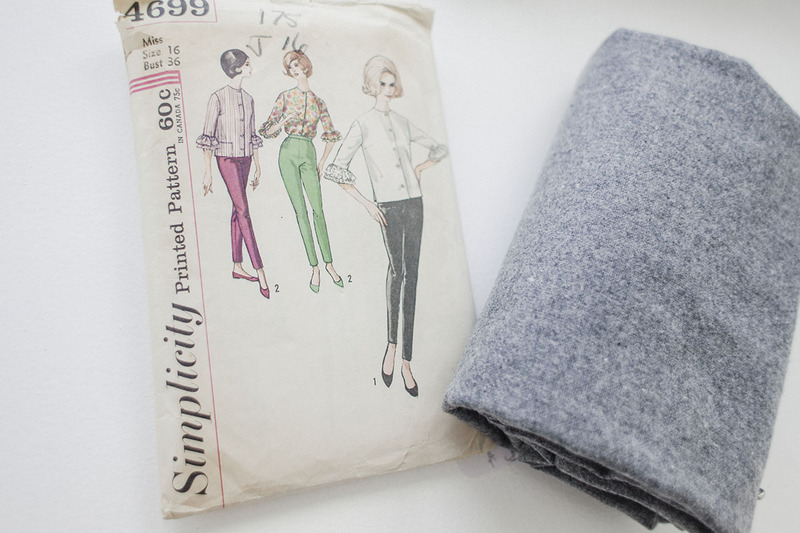 I bought these gorgeous very lightweight rayon knits for t-shirts. Due to the tricky fabric, my skill level, and my machine’s capability, I could NOT figure out a neckline finishing method that would work! I tried binding, bands, hemming, everything! And since the fabric was so fine, I couldn’t keep ripping out my stitches, so I just kept cutting away the neckline and trying something else until there was pretty much nothing left to my shirt. I had to scrap it and start over! Next time I need to just work within my limitations and try something like a cowl on this kind of fabric!! Lightweight or tissue knits are very difficult to work with. A loose fitting cowl or gathered top is a great idea. As far as finishing, I usually just turn and stitch a very narrow hem, since these are so thin. You can use tissue paper to stabilize as you sew and then rip it away carefully. And unless you are really good, I would sew first then serge the seam. Nothing like a chewed up tissue knit. I could be in the midst of an epic fail, but I’m trying to be patient and zen out about it. No one is going to die if this dress doesn’t work. That’s something I often remind myself of. But on the topic of failure – as Samuel Beckett said: Ever tried. Ever failed. No matter. Try again. Fail again. Fail better. I have “Fail better” tattooed on my arm. This may be a silly question, but how does a Muslin help when you are making a knit? Muslin doesn’t stretch. I have never made a Muslin, but know it would be great in a non stretchy fabric. Just not sure for a knit. There’s a reason they say knits are more intermediate level sewing…….though in some ways they are actually easier to work with. I mean, who doesn’t like making something that doesn’t need a zipper? And doesn’t fray in the seam allowances! your epic fail can be turned into a lovely little teddy bear or monster doll to give away. far far away! the lux of the fabric will make the little project VERY special! Sorry about your fail, but it clearly helped many, so . . . I am also glad for the advanced warning when I get around to my vintage pants patterns. I bought a pair of vintage 40’s jeans that fit perfect in the waist and have an MC Hammer crotch length – lovely denim though. In terms of “optimism,” maybe it is the same as my ocassional “magical thinking.” Thanks. Most of my fails are related to my lack of patience— I want to get the zipper-sewing process over with, I want to get this dumb puffy hem over with, I don’t feel like setting up my ironing board… on and on. I agree that planning something out far in advance helps to counteract this… as does, in my case, taking a break when something isn’t going well so I don’t rush through it! Oh yes I remember when I was making my wedding dress for my second wedding and nothing fitted after all my hard work and prior planning. Nothing fitted properly and some bits were loose and some bits were so tight I thought the pattern must be faulty but no it was moi. I ended up buying a very nice dress on Ebay which I still have and I embellished it before I wore it. Then I took great pleasure in cutting up the ‘mess dress’ I had made. Yes we’ve all had this sort of sewing experience and I think it proves that the clever part of dressmaking is the fitting rather than the technical aspects of stitching. I think definitely make a muslin, never think ‘this will be a real quick project’ and beware of vintage patterns as the fit can be very bizarre! Often, the fabric from failed projects can be reused as bags, cushions, toys etc. so at to east the fabric isn’t totally wasted. …and I learned a new word ‘wadder’ which I presume means you wadded the failed garment into a ball and shoved it to the back of the cupboard! I love the feeling of a community of fellow sewers out there who all have pretty much the same set of problems and mistakes. Yes we’ve all had this sort of sewing experience and I think it proves that the clever part of dressmaking is the fitting rather than the technical aspects of stitching. I think definitely make a muslin, never think ‘this will be a real quick project’ and beware of vintage patterns as the fit can be very bizarre! Often, the fabric from failed projects can be reused as bags, cushions, toys etc. so at least the fabric isn’t totally wasted. I definitely need to change my mindset on this. Muslin in New Zealand is super expensive so I avoid making a “muslin” all the time. And it costs me in the end. I am just making a dress for my daughter today that I whipped up a muslin on and the dress is turning out beautifully after the necessary adjustments were discovered. I should remember to always do this for things I am sewing for myself. Try your local Spotlight store. I buy a whole roll of light cotton canvas from them in Sydney whenever they have a big sale and use this for muslins. I used to hate the waste of buying new fabric for a muslin – both the economic and environmental waste. So I used up all my old sheets… and all of my mum’s old sheets! Now I lurk around my local thrift stores buying the old ugly sheets that no one else wants. You get a lot of fabric for not a lot of money, and it’s fabric that has already had a life so it’s less wasteful and more environmentally responsible. The only problem is the looks I’m starting to get from the shop assistants for buying so many sheets…! Genius idea Sarai and now I will always check my grainlines too! I’m a serial toiler and that does seem to circumvent lots of issues, though the devil can definitely be hiding in the details. I have had my share of “wadders”, so many that I have a bin that contains them until I can take a fresh look at the potantial for redemption or total redesign. I agree the time invested in fabric and pattern selection and fitting is directly related to my success. In addition, I heed the advice to “measure twice and cut once” and as much as I think I may know, I have learned that reading instructions is usually a good idea. Almost a year ago I purchased a piece of chartreuse silk shantung. It sat patiently in my stash while I waited for the right inspiration. I loved the fabric and wanted to create a garment that was functional and fun to wear. Believe it or not, I decided to use this gorgeous fabric to make a jean-style jacket. This was the first of many calculated decisions I made that ultimately resulted in one of the best sewing outcomes I have ever had. The silk was fairly light weight so I knew I would need to line the jacket. I was terrified to cut into the silk, so I made, first, a muslin, lining and all, from an old bed sheet. It was OK, most importantly, I nailed the fit on the first try, but the lining construction didn’t excite me. While I mulled over my options, I pulled a totally different fabric from my stash and sewed an unlined version of the jacket, practicing some fun features like welt pockets and bound button holes. In the end, I decided to underline the silk by hand stitching a layer of gray cotton voile to each piece and then I machine stitched the whole thing together. I cant tell you how many hours I spent on this project but I do know that all those minutes and hours added up to an awesome jacket that will never see the “wadder” bin! I don’t think it was just your pattern. I have tried two different vintage fitted pants patterns with similar results. I think we are used to a very different pants silhouette today. I have looked at old photos trying to figure it out, but haven’t got the issue completely resolved. Part of the problem, of course, is the fact that the fabrics of the day had very little stretch. I have modified a cigarette pant pattern to have a lower rise and more fitted upper thigh and it looks nice in a woven, but my movement is limited. No wonder women of the sixties went crazy over polyester! Totally agree! When I’ve seen vintage RTW pants of that era, the fit is the same. It never means you’re a “bad designer/sewer” like I accuse myself all the time but just that we didn’t plan well. So… I made a jacket for my Mom. Loved it… all in turquoise and brown plaid. It was just a smidgen too tight on me given that I am a D cup and she is a B. But I can cut the same size bust as long as I do an FBA for mine. Want to add 2 inches length to hem and cuffs plus the 2 inch FBA and do a 1 inch full arm adjustment because on my mom’s I ended up picking out the arm seams and going to 1/4″ instead of 5/8. I had a great plan. I had thought of everything that could go wrong and planned for it. So I spend the morning and hack away at my front and leave the back piece alone because It was good, the shoulders fit perfectly. I hack away to try an FBA with no darts. Only made an extra 1/2 inch instead of the 2 I needed and the pattern piece was really wacky so I go and reprint the pieces I needed. I increase the length of the arm skye a schoosh and then did a regular FBA and added a dart, lengthened everything as I wanted and did the full arm. Then cut my fabric, there was just enough, and sewed like a fiend. Got the thing to finished except for the hemming and I couldn’t get the arm up my arm… Uhhhh what gives???? Well I remembered thinking the pattern tiles seemed small…. I did not check the square because I had printed this pattern before and it was perfect when I checked it that time. So after unpicking all the arm seams and going from 5/8 to 1/4″ and I still can’t get it on I go to the computer and check the printing… Ummmmmmm it was set at 85%. I did this myself to print a legal document on a letter size paper and I forgot that I had to change it back to no scaling. So yeah – wadder it truly is. It finally made sense why I never had to lengthen the back and why the front facing was sooooooo long and the collar came really far around the neck opening. I have had fails before… Everyone has… But this one takes the prize and all I can do is laugh about it and hope I can find 2 more metres of that lovely plaid.